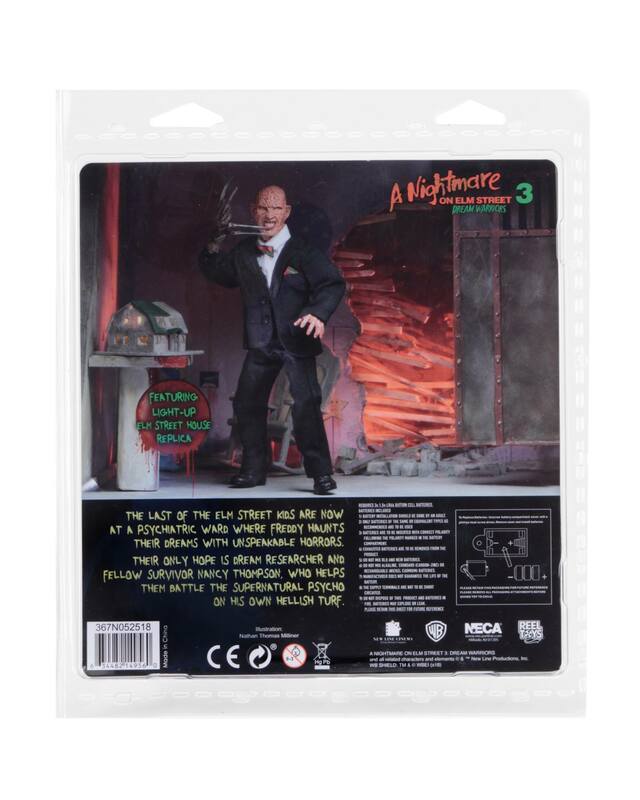 Final packaging photos have been released for the upcoming A Nightmare On Elm Street Part 3: Dream Warriors – Tuxedo Freddy Krueger 8″ Figure coming from NECA Toys. The figure is due for release in July. 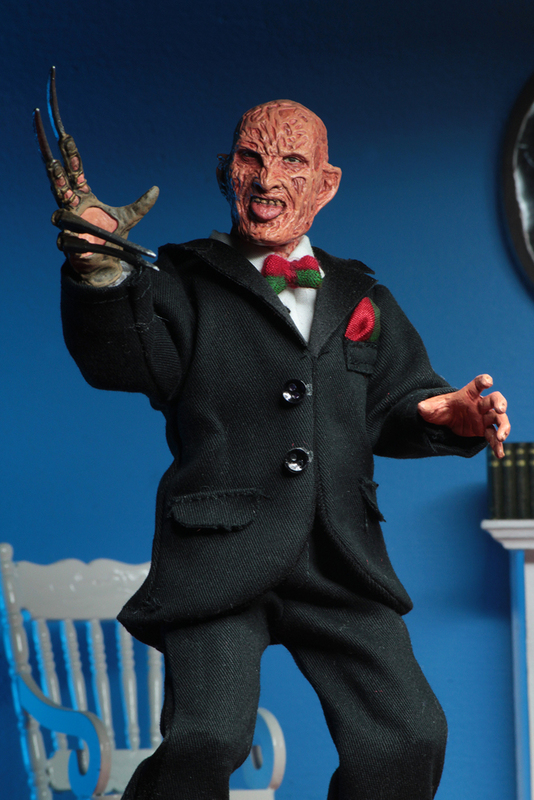 This version of Freddy includes a light up replica of the paper mache house from the film. Check out the images by clicking the headline of the story. 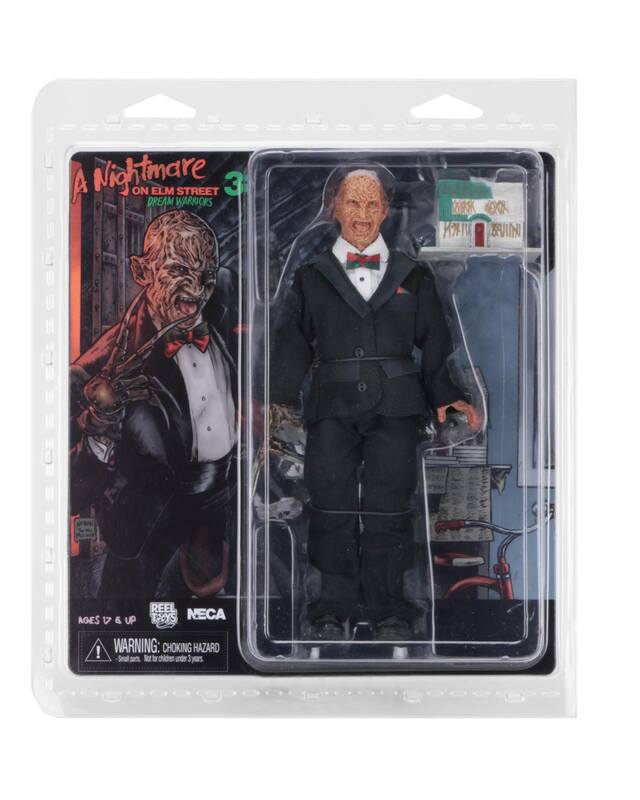 From the cult classic Nightmare on Elm Street movies, this clothed action figure is based on Freddy’s tuxedo appearance in Dream Warriors! Freddy stands 8” tall and is fully poseable. 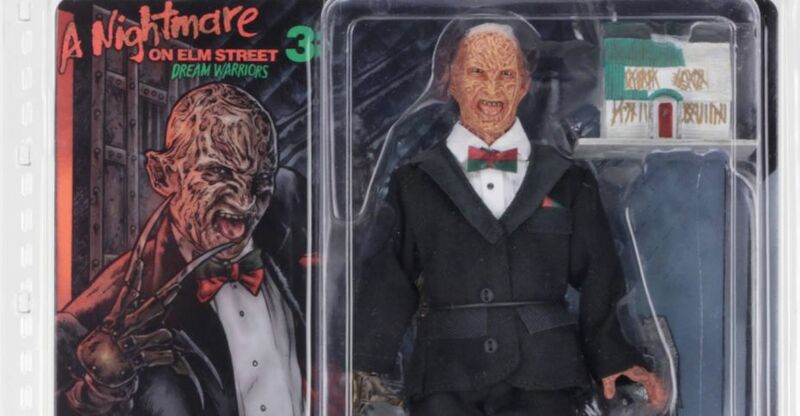 He’s dressed in a fabric tuxedo with red and green striped bow tie and pocket square, and comes with a replica model of the Elm Street house that lights up. Blister packaging with resealable protective clamshell features custom artwork created by Nathan Thomas Milliner just for this release!